An Africa Elephant (Loxodonta Africana) is the largest living land animal with no natural predators, although lions may take calves or weak individuals. When a baby elephant is ready to be born the whole herd creates a circle around the mother that is going to give birth to protect both her and the baby. After a 22 month gestation period, a calf is born weighing in around 175-200lbs. Calves need milk for at least the first two years of their lives but normally suckle until they are 4 years old. 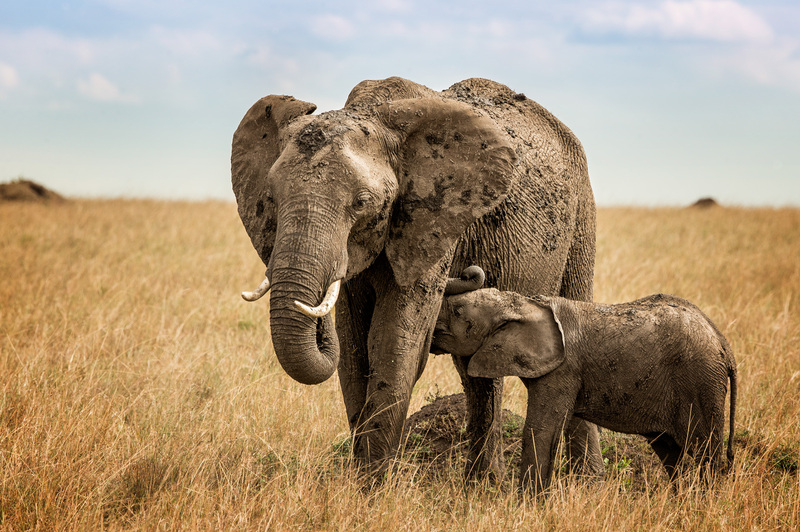 This image of a nursing calf and his mother was captured on the great plains of the Serengeti in a region known as the Masai Mara.